Hello Folks! We are so excited to Present our first Know The Deals Facebook Contest with huge rewards such as Cash Prize,Bookmyshow Vouchers, Free Recharges for all. 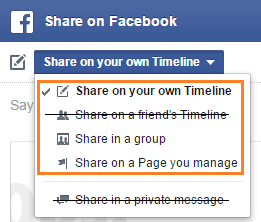 You just need to share a simple post on your Facebook Timeline, group or page. Posts having greater number of likes will win exciting cash rewards and much more. Participant’s Facebook Post must have at-least 20+ likes. Likes will be counted till the know the deals facebook contest period. If you are posting on Facebook wall (Not in any group / page) then you have to tag atleast 10 of your friends. Contest is valid from 00:00 AM (24th September ) – to – 11:59 PM (1st October, 2017) only. Simply Click on the Facebook Share button Below, Share this page link on your Facebook wall, Group or on a specific page! Important Note:– You Must tag your friends in you Facebook post.Min. 10 friends are must to be tagged on it. After clicking on the Share Button Above, A POP-UP Facebook share Box will open, tag your friends & Share it on Your Own Timeline. Don’t Share on Friend’s Timeline & Private Message. That’s all.You have completed 90% of the contest. Now Copy your Profile Link. After copying just submit your entry by commenting below in Disqus Comment Box. Signup into Disquss via Facebook, Twitter & Google. We owns the right to disqualify any of the participant who violates our terms. User must share the post > tag friends > post his / her’s profile link below to participate. User have to tag atleast 10 of his / her’s facebook friends & got atleast 20 likes in his / her’s post to enter! Bank transfers may take time upto 2 days. Free Recharges will be made within 1 days of the result. Contest can be shutted and can be changed anytime. No Spams and no abusment will be entertained. Prizes are as mentions and can be anytime charged based upon the owner.